If you’re a Muppet fan, chances are you’re already anxiously awaiting the release of Muppet Guys Talking, Frank Oz’s documentary of . . . well, Muppet guys talking about life, art, and working with Jim Henson. And who are the Muppet Guys? They’re Frank Oz, Jerry Nelson, Fran Brill, Dave Goelz, and Bill Barretta. More information — including how you can watch the documentary when it’s released later this week — is available over on muppetguystalking.com. Go. NOTE: I actually love Paul McCartney. Posted on September 24, 2017 | Comments Off on It’s Jim Henson Day! Okay, maybe it’s really not Jim Henson Day — but it’s Jim’s 81st birthday, so over on Twitter I suggested we make #JimHensonDay a thing. And really, when the President of the United States is tweeting like a lunatic, all but taunting another country into nuclear war, I figure now is as good a day as any to remind ourselves that there are still a lot of good people and good things going on in the universe — and that Jim, his life, and work remain an inspiration for fun, creativity, and basic decency. Here’s the string of Twitter posts I put up this morning. Feel free to comment on what Jim and his work mean to you in the comments — or join the conversation on Twitter on the hashtag #JimHensonDay. Go out and do something silly today. Jim would approve. Heck, he’d encourage it. Comments Off on It’s Jim Henson Day! Back in December, I sat down for an extended interview with a Polish journalist to discuss George Lucas: A Life — but we also talked quite a bit about biography, fandom, choosing subjects for books, and the writing process. The original interview is somewhere on the Interwebz, translated into Polish, so I’m posting it here in three parts, and in English (and if my original interviewer wants me to take it down, please shoot me an e-mail). Here’s part 1. I’ll post the next part shortly. When I went to see your official website I’ve notice these words: Many Bothans Died To Bring You This Website. I immediately thought: he must be a Star Wars fan so George Lucas’s biography is really in good hands. Am I right? Are you a Star Wars fan? You’re right indeed. I’m Star Wars Generation 1.0. I was nine years old when Star Wars premiered in theaters in May 1977. I was George Lucas’s target audience. It was a film aimed right at me, and I even remember seeing the preview and what an impact it made on me. My brother and I had all the Kenner Star Wars toys, we had posters, bedsheets, trading cards . . . you name it, we probably had it. Since then, I’ve seen every film in the theater. 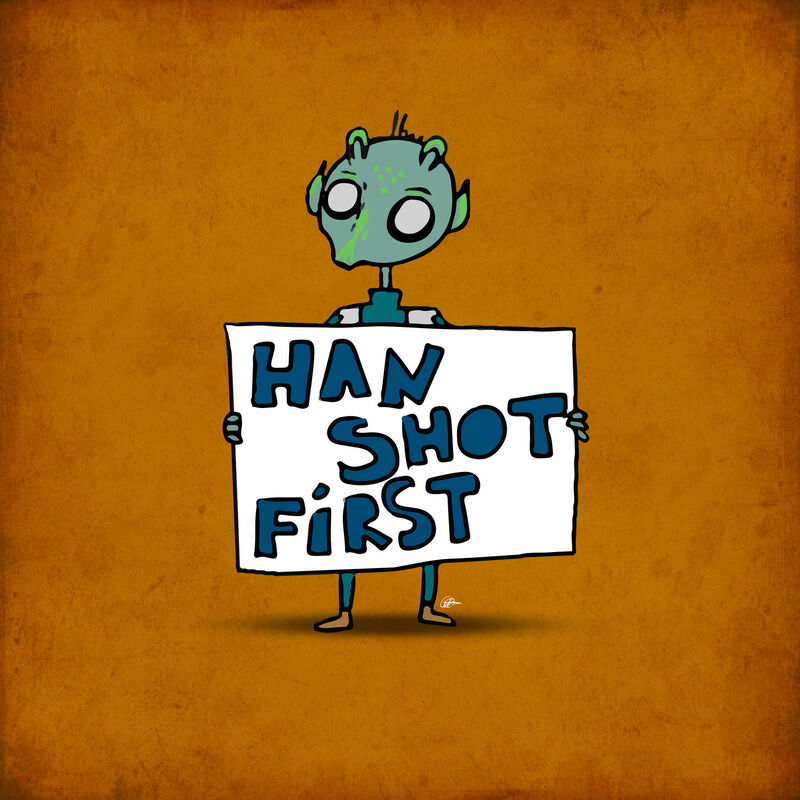 Star Wars is part of my pop culture nerd DNA. Lucas created a unique phenomenon in pop culture. I know that for many people Star Wars is not a movie, but a way of life. What does this creation mean for you? As I said, it’s sort of in my own pop culture DNA, too. However, I’m not one of those fans who can name every planet or spaceship, and I’m terrible when it comes to what’s known as the “Expanded Universe.” But I can geek out pretty hard on the original three. For me, Star Wars is fun and familiar. It’s a mythology that we all feel we own a piece of, and we can discuss it and debate it endlessly. That’s all part of the fun. George Lucas is one of the most iconic names in pop culture. Was there a moment in your process when you thought it might be too difficult of a challenge? Millions of fans around the whole world will probably analyze every detail in your book, and they sometimes can be scary . . .
Well, fortunately, with Jim Henson, I’d already written about another hugely iconic figure with an equally as devoted fan base, so I knew the dangers of jumping into that particular pool. Still, as I did when writing about Jim Henson, when writing the Lucas book, I’d look at my reflection in the mirror each morning and tell myself “Do NOT mess this up.” Lucas and his work are too important to too many people. I hope people aren’t disappointed when they find out I don’t have some high-tech system for all this – because when it comes to writing and research, I’m horribly analog. I do a lot of archival research, and I still like to make hard copies of everything — whether it’s an interview Lucas did with Starlog in 1980, an article about the SIGGRAPH conference in 1985, or even a Kenner Star Wars toy ad. Then I three-hole-punch the papers and file everything in black binders in my office, usually organized chronologically, though sometimes I do it by topic. While I’m researching, I type my notes on the laptop, but I still write my chapter outlines in longhand. And then, when I finally write that particular chapter, I write the outline up on a gigantic white dry-erase board so I can see the entire thing, move pieces around, or note other areas I want to make sure I cover. My process hasn’t really changed all that much over the last decade. It’s horribly messy, I know, and many of my fellow biographers swear by electronic organizers or programs, but it all feels like a forced extra step to me. But as I always tell anyone who’ll listen, the right way to organize your research is the way that works best for you. 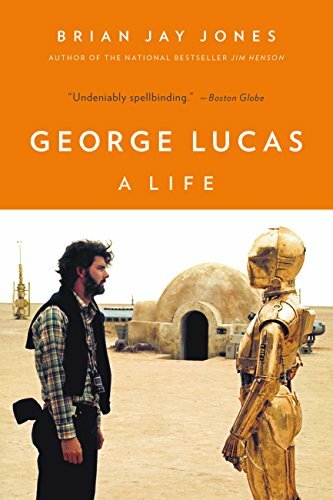 Did you meet George Lucas in person when you were writing this book? If yes, can you say something about that situation? No, I’ve never met him. I’d like to. I know that readers in Poland would like to know this: Is your Lucas biography only for fans of Star Wars and his other movies? Or maybe normal person who know who he is will also have a blast with that book? Or maybe it is a little bit for both? It’s for more than just fans of Star Wars or Indiana Jones. Readers might know a little about Lucas, but perhaps not much beyond what he’s done beyond those movies. But Lucas is actually a really big story – he’s the story of modern filmmaking. This book for those who want to know more about the trials and tribulations that go with filmmaking, and how Lucas really kicked down the door for creator-driven films. It’s also for artists who value the creative process and want to learn how Lucas fought, sometimes painfully, to maintain as much control over his own art as he could. Lucas is all about giving artists what they need to realize their own projects, without interference from meddlers – in Lucas’s case, the Hollywood studios — who, he feels, don’t appreciate the artist. Finally, it’s also a business manual, about running a company absolutely aligned with your own artistic priorities, investing in yourself and your vision, and resisting the constant appeals to compromise that vision in the name of the bottom line. I know that sometimes biography books can be boring as hell and you can have an impression that you are reading Wikipedia — that a book can be empty facts without a heart, you know? But your book is different because you read it with fascination. What is for you the most important aspect of biography book? What do want to achieve during your process? Biography, even more than history and other non-fiction, really needs a great narrative. That often demands great organization of your materials. I often tell aspiring biographers that it’s not just what materials you use, but how you use them. Can you present them in an interesting or dramatic fashion? You don’t want your book to be a textbook or a recitation of facts – that’s a user’s manual, not a biography. What’s the drama in your subject’s life? The humor? The compassion? What did you learn, and how much of yourself will you inject into the narrative? These are all the questions we deal with as we wrestle with telling someone else’s story. Still, it does amuse me when reviewers and readers complain that a biography or history has “too many facts in it.” That’s almost like the moment in Amadeus when the Emperor complains that an opera has “too many notes.” Just as musical notes are the foundation of opera, facts are the building blocks of biography and non-fiction. I think my job as a biographer is to take those facts and put them in context with each other, see how they relate to the overall story and life we’re telling. We tend to think of Lucas in silos – “he did Star Wars and then he did Empire Strikes Back and then he did Raiders of the Lost Ark” — but real life is never actually that neat. Lucas was juggling lots of projects all at once all of the time. He was building a company and producing one movie and developing another one, all at the same time. The man is constantly in motion, and I wanted readers to see Lucas in that light. Posted on September 24, 2016 | Comments Off on Eighty. Happy Birthday to Jim Henson, who would have been 80 years old today. Celebrate his life by doing something silly, just because you can. Jim would approve. Here’s one of my very favorite images of Jim, taken in the late 1980s. This one actually hung in the National Portrait Gallery for a while. Have fun today, and think of Jim for a little bit while you do it. Happy Birthday, Jim. We still miss you. Over the last ten years, I’ve written three books at my desk in my home office in Maryland. Below is the desk where I wrote Washington Irving over the span of just ten months in late 2006- early 2007. My office at that time was in a long, narrow upstairs room, just off our bedroom. When we moved into the house, it was an old and unused kitchen (don’t ask). We removed all the old appliances, laid down some vinyl tile, painted the walls blue and brown, pulled some phone line, and moved in a daybed, IKEA bookshelves and an IKEA workbench (with the unfortunate IKEA designation of JERKER). While the room was small, I could keep nearly any reference I needed within arm’s reach on a bookshelf directly behind me (which you can’t see in this photo). as well as on the low shelf just over my computer screen. At that time, I was writing on a Dell desktop, which we bought new just for me to write on, since our main computer was located in a public space in the parlor. This was a small, cozy set-up, and I actually enjoyed writing here. Getting Irving done in ten months meant getting up every morning at 5 a.m, writing until about 7:30, then heading for my day job in local government. I’d return here each evening at about 5:30 p.m. and write until 11 — then repeat the next day for the better part of a year. One of the nicest things about this set-up, however, is that from time to time, Madi — who was barely a middle schooler then — would sometimes crawl into the day-bed and fall asleep while I was working in the evenings. When I began work in earnest on Jim Henson in 2010, it was immediately clear the space in the upstairs office wasn’t large enough to contain all the notebooks, books, and other resources I was using — including a gigantic white board that I was using to map out family trees and outline chapters. So, in the autumn of 2010, I set up an office in our basement, making a desk out of two farm tables pushed into an L-shape in front of the corner fireplace. Sorry the photo is blurry–but as you can still see, it got messy in a hurry. Instead of the Dell, I was now working on a desktop Mac, with a gigantic screen that made it easier for me to look at multiple documents on screen at the same time. For 2 1/2 years, all I did was Jim Henson–the elected official I had worked for had opted not to run again in 2010, which permitted me to dedicate myself to Jim full time. As you can imagine, then, this particular corner got messier and messier, and the piles of books and notebooks deeper and deeper. Forward now to late 2014-early 2016. Initially, I was writing George Lucas in my basement office, sitting at a new, modular L-shaped desk that took up roughly the same footprint as the two farm tables shown above. However, as I began my work on each chapter, I would pull out all the books and notebooks and interviews anything else I needed, and start making piles on my desk–and it was clear that this was book was going to be more than my desk could handle; I simply needed more horizontal surfaces on which to pile and stack and spread out. By mid-2015, I finally took over our dining room table. While I’ve got an old MacBook laptop in the middle of things here, I eventually moved my desktop Mac up here as well. And I’ll admit it: while the hardbacked chair is uncomfortable, there are windows on three sides of the room, making this a much warmer and brighter spot in which to write than the basement. It was also much less isolated; while Madi is long gone, the dog would come in and sleep under the table while I worked, and Barb could come in and check on me every now and then. I was also back at work full time while I wrote this one (working for a different elected official), which could make for some long days. I’m not the early riser I was when I was writing Washington Irving; instead, I would get up around 7 each morning so I could be at work by 9 a.m.–then, once home by 6 p.m., I would immediately sit down to write, stopping for about thirty minutes for dinner with Barb, then write non-stop again until 2:00 a.m. or so . . . then do it all over again the next day. What I find so interesting about all this is that as the projects got larger and more labor intensive, my workspace seemed to get less and less formal. While I’m one of those writers who likes a dedicated space for writing (like Washington Irving, I love cozy writing rooms), what I found as time went on is that I preferred a less formal, more spacious, and much less secluded writing area. Not that it made things any less messy. 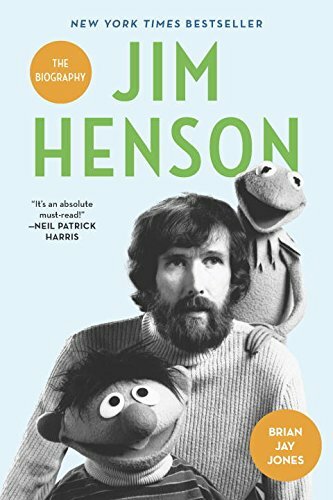 At long last, there’s an official release date — and official cover — for the paperback of Jim Henson: The Biography. It’ll be coming your way on May 10, 2016. You can pre-order it on Amazon right here , at Barnes & Noble here, or from IndieBound here. And, of course, you can also order it from your favorite bookstore near you. Live! From (Upstate) New York! I’ll be giving an hour-long presentation on Jim Henson at the Guilderland Public Library in Guilderland, New York, on Friday, February 19, at 2:00 p.m. As an added bonus, the library will have several Muppets on display, on loan courtesy of The Jim Henson Legacy. Which Muppets, you ask? Ah, that’ll be a surprise for me as well. The Guilderland Public Library is located at 2228 Western Avenue, just northwest of Albany. And did I mention it’s free? Of course it is — so if you’re in the area, come on by.